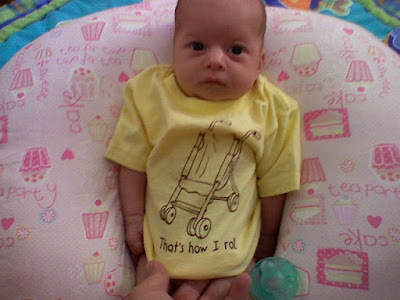 I posted pictures of the shirt I sent Addison (Chris and Tiff's newest addition) before mailing it... They sent this over the weekend :). Tiff said it's a bit like a nightgown now...and clearly, Addy is THRILLED. Love this...wanted to share. Also posting the note I sent along with.